angus.org To view complete pedigree page and EPDs, click on the provided link and enter the Reg. # in Animal Search Box at the top right-hand corner of page. Dam of this young sire just keeps getting better with age. Her 2017 calf missed an 800 lb. 205 day by just a few lbs. This year she made it! A moderate sized cow producing big calves. Weaned off at 803 lbs @ 203 days. 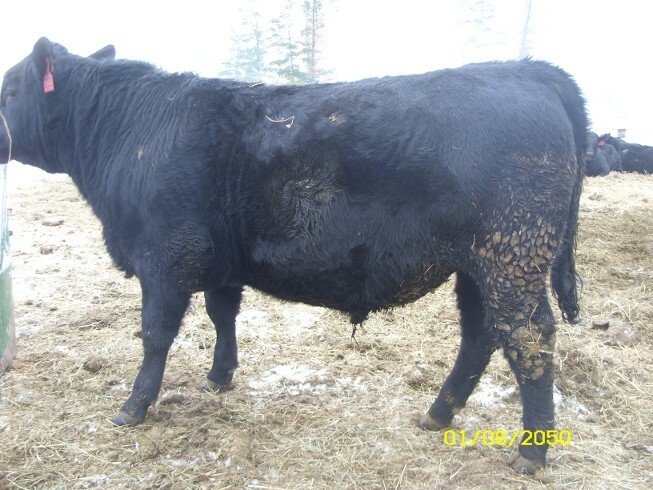 Sire excels at CED +15 (3% of breed), marbling (15%), and producing very attractive cattle.